The Welterweight division rankings are delayed this week as a big congratulations is in order for Tim Thompson and his wife. They had a new baby boy born this week. Tim will be back on the job next Thursday with his Welterweight rankings. In the mean time, I thought I would take the opportunity to show my own top five currently undefeated fighters across all weight classes. It is next to impossible to have an undefeated career in Mixed Martial Arts so I thought I would share who, for now, is on the way to do it. Herdeson is a 22-year-old lightweight from Coari, Amazonas. Unbeaten as a professional fighter, “Capoeira” has won three in a row after joining Team Nogueira in Rio de Janeiro in 2014. He is the youngest Member of the top 5. He is a long shot to stay undefeated but hey, it’s my list. Ben is a former wrestler for the University of Missouri and U.S.Olympic team. He is now a grappler, mixed martial artist and the former Bellator Welterweight Champion and the current ONE FC Welterweight Champion known for his effective wrestling . 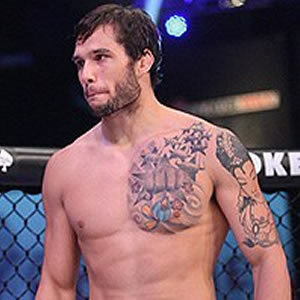 He is currently ranked as the #5 welterweight in the world by Fight!Magazine and as the #8 welterweight by Sherdog. Khabib is an Avar-Russian mixed martial artist. He is a multiple Combat Sambo World Champion and a Judo black belt who is currently fighting in the lightweight division for the Ultimate Fighting Championship. He currently holds one of the longest undefeated streaks in MMA with 22 straight wins. He is currently No. 2 in the official UFC lightweight rankings. Ronda is an American mixed martial artist, judoka and actress. She is the first and current UFC Women’s Bantamweight Champion, as well as the last Strikeforce Women’s Bantamweight Champion. She is undefeated, having won eight of her ten fights by armbar. Rousey became the first American woman to earn an Olympic medal in Judo at the Summer Olympics in Beijing in 2008. Chris is an undefeated mixed martial artist. He is the current UFC Middleweight Champion. As of October 23, 2014, he is #4 in official UFC pound-for-pound rankings and ranked as the #1 middleweight in the world by Sherdog. He is the most natural athlete of the top 5. He mastered the sport of wrestling very quickly. He was a Nassau County and New York state wrestling champion. He was an All-American in Cadet Freestyle and Greco Roman. And he became the first junior college wrestler in history to be a NYS Collegiate Champion. At Hofstra, he became a two-time Division I All-American, placing 3rd at the NCAA tournament his final year. Next articleWhat Does the Black Belt Really Mean?